At Open Book Publishers we are changing the nature of the traditional academic book. Our books are published in hardback, paperback and ebook editions, but we also publish free online editions of every title in PDF, HTML and XML formats that can be read via our website, downloaded, reused or embedded anywhere. We are proud to say that our books are currently being accessed freely worldwide by over 20,000 readers each month. In addition, our digital publishing model allows us to extend our books well beyond the printed page (for more information about some of our innovative titles, please see our blog post). We are creating interactive books, and works that incorporate moving images, links and sound into the fabric of the text. More traditional titles are equipped with digital resources freely available on our website, including extra chapters, reviews, links and image galleries — these can be found on the individual product page for each book. Open Book Publishers, founded in 2008, is already the biggest open access academic publisher of monographs in the UK and amongst the leaders in the English-speaking world. We are a not-for-profit Social Enterprise run by academics who are committed to making high-quality research available to all, and we are now the hub of choice for a rapidly increasing international network of scholars who believe that it is time for academic publishing to become fairer, faster and more accessible. As founder members of the ScholarLed consortium of academic-led Open Access presses, and part of the Europe-wide HIRMEOS project, we are in the process of developing open source instrastructure to enable other Open Access publishers to grow and flourish. We are working towards a future in which there will be no barriers to the access or production of knowledge. For more information about our current activities and future ambitions, see Our Vision. We are a UK registered Social Enterprise and Community Interest Company (CIC), company registration 6707027, and our Annual Accounts are available from UK Companies House. We have a 9/10 Impact Measurement Score on the Natwest SE100 Index, tracking data from all the top social enterprises. 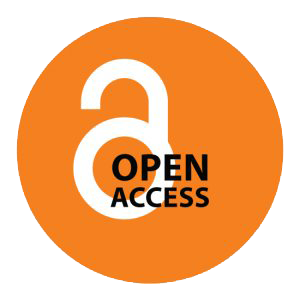 For more information about Open Access publishing, see our Open Access Guide for Academics. Viewing figures of OBP titles by continent, 2014-2018. We are a small group of dedicated and academically-oriented individuals, working with a distinguished editorial board to make research available to everyone in the world. Our backgrounds are diverse, but our aim is shared.